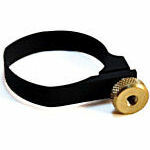 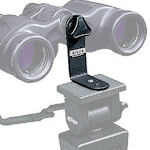 Barska Binocular Tripod Adapter attaches a binocular to a tripod or window mount. 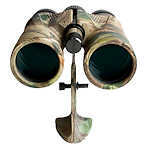 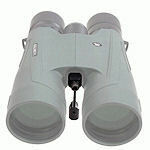 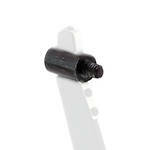 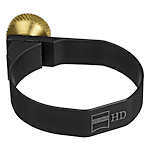 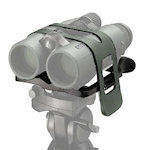 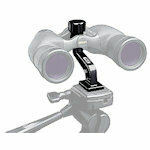 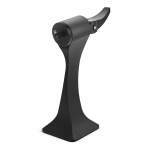 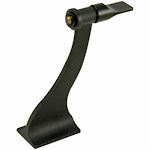 Its small knob makes it perfect for roof prism binoculars with objective lenses that are close together. 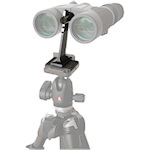 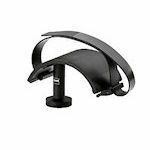 This Celestron "L" shaped bracket attaches to the center hinge of most binoculars, and mounts to a tripod for added stability and convenience. 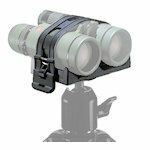 Works with both roof prism and porro-prism models. 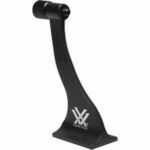 The Konus Tripod Adapter provides a stable location while viewing distant subjects and helps to keep a steady image with you larger binoculars for clear, shake free images. 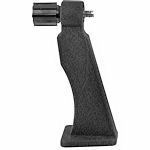 The functional Tripod Adapter with 1/4 thread for all Leica binoculars provides prolonged vibration-free observation - without danger of damage to the binocular. 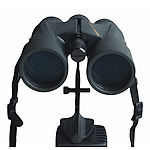 Nikon Adapter for E2, Superior E, Astronomy Series and Zoom XL binoculars to any standard tripod. 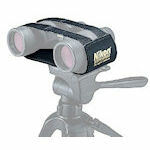 Nikon Tripod Adapter to adapts Nikon Action V, Sports & Marine Series binoculars to any standard tripod. 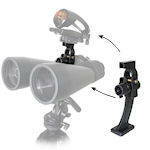 The Swarovski UTA - Universal Tripod Adapter fits EL SWAROVISION & SLC HD models and is Arca-Swiss compatible. 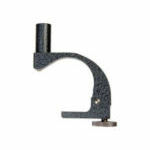 The Zeiss tripod adapter fits 8x30 and 10x40 Classics and Diafun models allowing you to mount these models into a tripod. 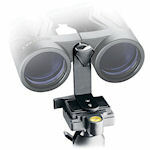 Zeiss Universal Tripod Adapter will fit any binocular. 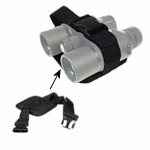 It is best for binoculars that don't have a 1/4"-20 mount hole in the hinge.